U.S. Census data from over a five-year period has allowed us to see which cities people are moving to in Texas. The SaveOnEnergy.com® team sifted through census data and ranked the top 20 Texas cities with the highest percentage of inbound movers. Our team uncovered many aspects that make these cities great for people who are looking to relocate, such as top-tier educational institutions, beautiful outdoor recreation centers and several successful corporations for potential employment. For more information about our methodology, scroll to the bottom of the page. 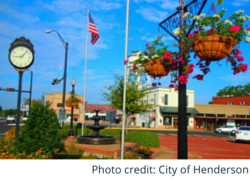 The town of Henderson is one of the oldest towns in Texas, with its roots dating before the state was established. It became the Rusk County seat in 1843 and has since kept its historic charm thanks to its active Department of Tourism. The town of a little more than 13,500 residents has many features that larger cities have, such as beautification projects for renovating parks, festivals such as the Heritage Syrup Festival (which attracts almost 30,000 people every November) and state-of-the-art schools that use Google Apps, Chromebooks and iPads. Located off the San Marcos River 25 miles south of Austin and 45 miles north of San Antonio, the city of San Marcos consisted of several settlements until 1848 when the Texas legislature declared it the Hays County seat. After a long history of ranching, agriculture and education, the city is now a tourism hotspot with more than 54,000 residents. 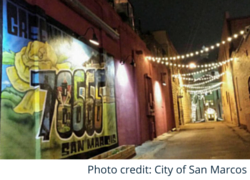 San Marcos is home to Texas State University, Aquarena Center, Wonder World Park and many outdoor recreation areas. Home to Texas A&M University, the George Bush Presidential Library and Museum and the One Health Plus Biocorridor (which houses the GlaxoSmithKline influenza vaccine-manufacturing facility), College Station is a diverse and family-friendly city with a small-town feel. The city has more than 100,000 residents, with the fifth lowest property tax rate in Texas. College Station boasts one of the lowest crime rates in the state and holds many awards as one of best places to live, work, learn and play. 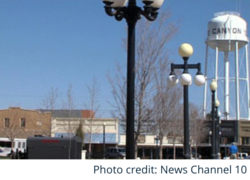 The city also borders the City of Bryan, expanding even more opportunities to residents. Addison was incorporated in 1953, though its roots go back to 1846. 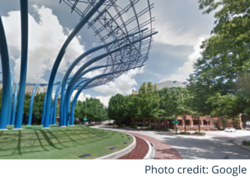 With its close proximity to Dallas, Addison has access to many great features such as huge green spaces, several theaters and nearly 200 restaurants (Addison has more restaurants per capita than any city in the nation, with just under 15,000 residents). It received Google’s 2014 eCity Award for the State of Texas, making it a great choice as home base for many businesses and corporations that use the web to find customers and connect with existing patrons to fuel the local economy. The city has a predominately young population that is well educated, attracting even more diverse and educated people to call the town home. 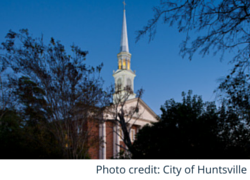 The City of Huntsville has a distinguished history, serving as the home to both the first and third president of the Republic of Texas. 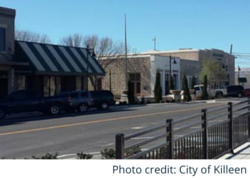 A city full of history, nature and hospitality, Huntsville also has a Main Street area full of small-town charm – one of many Texas’ downtown areas enhanced by the Texas Department of Transportation’s Main Street beautification program. With downtown exteriors painted by Richard Haas and a visitor center full of information, Huntsville is able to host annual events for all of its 39,000+ residents like its Cinco De Mayo Festival, Downtown Farmers Market and Fair on the Square. A small town with a little more than 11,000 residents in southern Texas, Raymondville has more to offer than you’d expect. 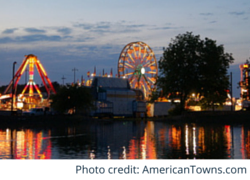 With boutiques, restaurants and wildlife, this town is attractive to many growing families. Known as “the City with a smile,” Raymondville encourages economic development with its Rural Technical Center and Small Business Incubator Center. These centers help start and grow companies, allowing residents to flourish and giving the city a competitive edge. 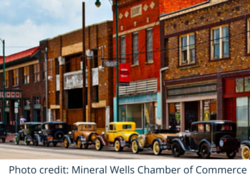 Mineral Wells is located west of Fort Worth and has attractive qualities for its potential and current 16,430 residents. 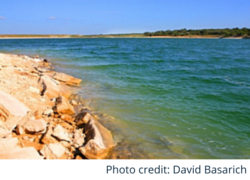 The Brazos River flows through the county of Palo Pinto, allowing for residents and visitors to take a trip downstream through the natural surroundings. It also has several restaurants with varying cuisine such as Asian, barbeque, Italian and Mexican. With a history of tourism, Mineral Wells is also home to many parks, including Fossil Park, Clark Gardens Botanical Park, Lake Mineral Wells State Park, Possum Kingdom State Park and the National Vietnam War Museum Complex. Located in the Texas Panhandle with over 13,000 people who call the city home, Canyon is named after the Palo Duro Canyon 12 miles from the city. The city originated in the late 1870s and was incorporated in 1906. Since then, Canyon has grown into a town with beautiful sights and entertainment. Canyon is home to the longest outdoor musical, TEXAS, watched more than 3 million times since 1965. Its downtown has been revitalized and restored, with millions invested into properties and new businesses. 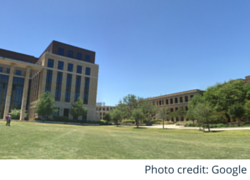 To top it off, Canyon is home to West Texas A&M University. 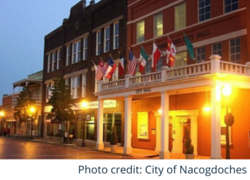 Named after the Native American tribe, Nacogdoches has an extensive history. Because of its long history and title as Texas’ oldest town, it has become a popular place for history-related tourism. 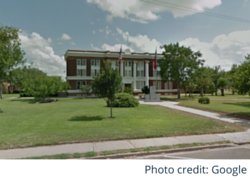 Nowadays, the town is considered the Garden Capital of Texas with an extensive collection of beautiful gardens and has grown into a well-rounded place to live, with many communal services, such as Dog Park Nacogdoches and the Judy B. McDonald Public Library, offered by the local government. It is also home to Stephen F. Austin State University, which has more than 12,000 students. A stone’s throw away from Johnson Space Center, Webster is home to more than 2,200 businesses – all within 6.7 square miles – and 10,799 residents. Despite its small , the city has an established presence between Houston and Galveston, and features the “medical center of the south,” Clear Lake Regional Medical Center. Due to its close proximity to NASA, Webster has many space-related attractions nearby, such as Space Center Houston. It is also a growing hotspot for outdoor activities thanks to the nearby Armand Bayou Nature Center. Agriculture is the leading industry in Stephenville; in fact, the city is the state’s leading milk producer. Thanks to its agribusiness and rural aspects, Stephenville is known as the Cowboy Capital of the World. 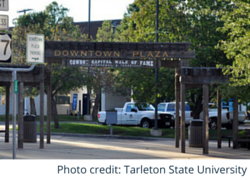 The city is home to Tarleton State University, numerous sports leagues, youth programs, museums, places of worship and more than 18,000 residents. 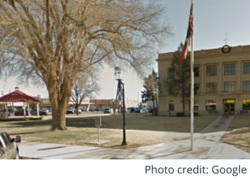 Stephenville is located along the Bosque River, enhancing its ties to agriculture and wildlife. Killeen is the official home of Fort Hood, a major military post with nearly 38,500 soldiers. However, the city offers more than just a home to the United States Army. The Killeen Downtown Historic District is listed in the National Register of Historic Places with many buildings dating back to the early 1900s and late 1890s. The city has many things to offer potential residents – as well as its current 131,458 residents – such as an eventful Killeen Arts and Activities Center, a farmers market, Food Truck Fridays and a school district with educational opportunities such as IB courses, fine arts programs and STEM programs. 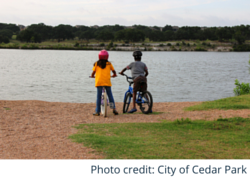 Killeen also has many sports leagues for active families, as well as many trails for those who enjoy the outdoors. 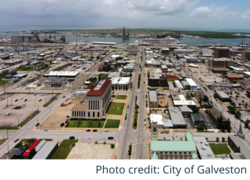 With direct access to the Gulf of Mexico, Galveston is known for its sandy beaches, cruise port, Galveston Island State Park, Seawall Urban Park and Moody Gardens. The town has many opportunities for potential homebuyers, especially with hundreds of historic houses on the island. The city also has a strong economy for its 48,089 residents, overcoming the disaster caused by Hurricane Ike in 2008. Proof of its strong economy can be seen at Pier 21, a waterfront destination that offers a hotel, marina, restaurants and many attractions. Moreover, don’t forget about Schlitterbahn Galveston, a water park that features the world’s tallest water coaster. b in the nation by Thrillist. 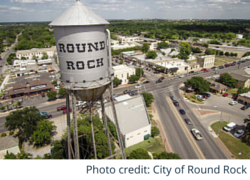 Thanks to all of this, more than 105,000 people call Round Rock home. In the middle of western Texas, San Angelo is surrounded by prime, rural ranching country. This city, though, is far from only being a country town. Instead, San Angelo is home to almost 100,000 residents and is a mixture of sophisticated and western culture. Located in the city is Texas’ longest-running theater, Angelo Civic Theatre, found on the Angelo State University campus. The City of San Angelo is also home to three lakes and the Concho River. 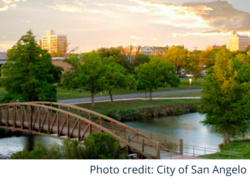 In addition to its natural beauty, the city also offers many outdoor and world-class activities such as the San Angelo Museum of Fine Arts, The Old Chicken Farm Art Center and a plethora of city parks that provide enjoyment for all. Pronounced like “journey,” the City of Boerne is just 30 miles from downtown San Antonio and is home to 11,535 people. The city incorporated in 1909, and holds on to its long history with its more than 140 historic structures. Flowing through downtown, Cibolo Creek is lined with cypress trees and is home to the Cibolo Nature Center, featuring a boardwalk and hiking trails over 100 acres. Located in the Texas Hill Country, Boerne has many accommodations for visitors, including a resort and conference center. No city is complete without old-fashioned festivals such as Boerne’s Kendall County Fair, Chocolate Walk, Cibolo Songs & Stories, Wings Over Boerne and Key to the Hills Rod Run. 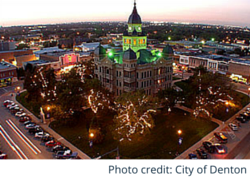 Denton, located in Denton County, is just north of the Dallas/Fort Worth area and has more than 121,000 people who call the city home. Both industry and education play a large role in the success of this city. Denton is home to two major universities: University of North Texas and Texas Woman’s University. North of the city are horse ranches and farmland, contributing to Denton’s agribusiness industry. The most prominent feature in Denton is its historic County Courthouse. Built in 1895 with Texas limestone, the courthouse stands in the city’s historic downtown square where it houses a museum and offices. The City of Copperas Cove is next door to Fort Hood, neighboring the City of Killeen. Much of the city’s success can be contributed to Fort Hood, but the city offers more than just an adjacent home to the military base. Copperas Cove has a variety of business, several manufacturers, beautiful outdoor attractions and a population of 32,478. Ogletree Gap is a city park and pavilion where the original town site was located. Now, the park has stone structures of the old town and the city’s first post office. 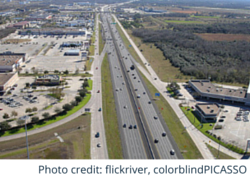 The City of Cedar Park is next door to Round Rock, and features prominent employers such as Firefly Space Systems, LiveOps and Fortune 500 company Dana Corporation. With a growing tech industry and population of more than 57,000, Cedar Park isn’t letting work go on without any play. Instead, the city boasts its multi-entertainment venue, HEB Center at Cedar Park, home to Texas Stars (AHL affiliate of the Dallas Stars NHL hockey team) and the Austin Spurs (NBA development team of the San Antonio Spurs). The United States Census Bureau serves as the leading source of information about the nation’s people and economy. Each decade U.S. citizens fill out a survey, serving as a snapshot for data about population, income, housing and more. However, the American Community Survey (ACS) now collects survey information annually. Each year, the ACS randomly samples 3.5 million addresses and reports on the statistics about specific geographic areas that cover 1-year and 5-year periods. SaveOnEnergy.com used 5-year estimates from the most recently available census data. It’s no surprise that Texas is heavily populated. In fact, it’s the second largest state in the nation by area and population with more than 26 million residents. We looked at more than 1,700 cities and towns and focused on those with populations over 10,000. Our top 20 list concentrates on incorporated places instead of metropolitan and micropolitan statistical areas. This allowed for a more focused data-set covering cities, instead of general areas or counties, that had the highest percentage of movers. 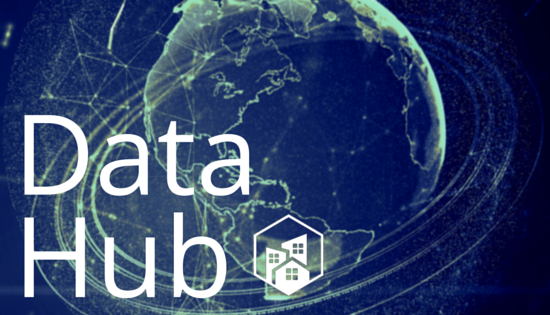 The United States Census Bureau defines an incorporated place as a city, town, village or borough (or other legal description) that provides governmental functions to a concentrated group of people. Places are usually within a single state but can extend across county boundaries. From this data set, we excluded movers who moved from within their current county, and only looked at movers who moved from outside Texas or from another county within Texas. In addition to the top 20 fastest growing cities in Texas featured-list that is based off the first interactive infographic chart above, we included two additional infographics that gave more insight into mover data in Texas. d, we excluded movers who moved from within their current county in our top 20 list. The second infographic chart focuses only on people who moved to Texas from outside the state, and the third chart focuses on everyone who moved from within Texas, including those who moved within their current home county, and those who moved from outside the state (or country).